Daydreaming is a great escape from the droll aspectds of life. There is absolute freedom in reaching the furthest corners of one’s imagination. It is where personal reflection and wild fantasies converge and create amazing feelings of comfort and wonder. There is an exhilarating thrill to daydreaming. It comes from that natural curiosity about what the future holds. Within the confines of the mind, we can craft our future while keeping the allure of surprise. For me, daydreaming is about discovery. And even that in the broadest sense of the word. The discovery element can the discovery of a part of one’s self or the discovery by someone else. How many of us dream about our potential and the adoration of fans? In my mind’s eye, would I get the validation I seek if I became a famous rock star? It is perfectly natural to want to be perceived a certain way. So, if someone looks within you, what do you want them to see? What is the best part of you that is going to achieve reality of your dreams? Minnie Riperton’s “Les Fleur” is a great tribute to the act of daydreaming. Consider the thoughts Riperton is sharing with the listener. 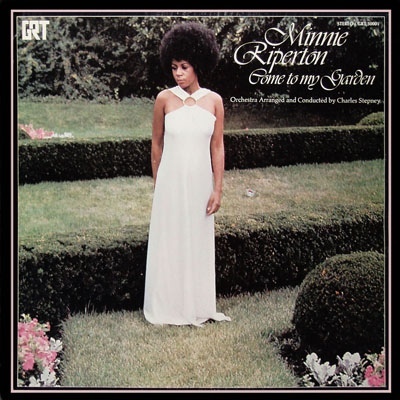 Riperton is connecting with nature and imagining herself as a flower that is ready to bloom. While she waits to bloom and share her radiance, Riperton is contemplating the potential she has. Who will discover her soft, shimmery petals and validate her purpose in sharing beauty in this world? This is the question she is asking herself. Whether it be worn in someone’s hair or pinned to someone’s clothes as they tour a fair, how will the flower that is Riperton be put on display to the world and rightfully adored? As the song progresses, Riperton declares she knows her role. She knows that she has an inherent beauty that needs to be shared with everyone. That is her sole purpose and the fact she has this self-confidence is so empowering. While I believe that I do not require anyone’s validation as to who I think I am, that is not the message in “Les Fleur.” There is no question in Riperton’s self-image and identity. She is here and you have to accept that. And if you don’t dig her style, then someone else will. Another person will pick that flower and show it off to the world spreading joy. Though the song is about a flower, it is a very human song that touches upon very human feelings. “Les Fleur” is a triumphant soul track that is powerful in its message; that we’re all beautiful on the inside and the only way to light up the sky and banish darkness is to share that inner beauty. Despite the strong message of this tune, I find the music even more enriching. The orchestration is soft and mellow. In this garden Riperton is lyrically painting, the song starts slow like a barefoot walk through the grass. It is soft to the touch and easy like a sunny morning. Riperton’s voice lays over the arrangement and carries the listener through the song’s opening. But, the song isn’t entirely effortless in its delivery. There is a flower ready to bloom in this garden and is signified by the swelling of strings, horns, and backing vocals. As vocal registers rise, the chorus erupts with a golden harmony that heightens the experience. Like the sound of a thunderous gospel choir, this is the time to rejoice because this is when a new time is born and a flower blooms to spread love and joy. “Les Fleur” is the opening track from Riperton’s first album. It is also an underrated track overshadowed by her quintessential high-note hit “Loving You.” It is a truly amazing song blending a rich soul orchestration, humanist themes, and one of the most talented voices in music. Riperton unfortunately passed away in 1979 after losing a battle with terminal breast cancer. In her short ten year career, Riperton truly embodied the spirit of this song. She did more with those ten years than many do in a lifetime. She had a beautiful gift backed by an even more amazing message, and she used them to spread joy and happiness. Her blooming as an artist, while short, was as bright as any garden. This entry was tagged flowers, garden, les fleur, minnie riperton, soul music. Bookmark the permalink. Change is constant in life. We are all bound to the chaotic nature of life. There is a certain comforting madness to the unpredictability of existence. With the right frame of mind, it is something with which we can change the meaning. While we may not be able to control the situation, we can control how we view and react to it. The weather in Chicago this last year has been unpredictable. This last winter was incredibly difficult on a number of different levels. While I can usually tolerate the cold and find solace in falling snow, the extreme bitter temperatures and pop-up blizzards felt stifling. I was also experiencing some personal issues and being constantly confined indoors was not helping. I live in Chicago and I know the winters can be brutal. I can accept that. I’ve conquered Chicago winters before and I knew I would again, but this last winter was exceptionally hard. I wanted summer. I wanted heat. I wanted an escape. As the hounds of winter began retreating in March, glimmers of spring appeared rarely and without warning. It was a shock to the system to walk outside and feel winter’s grip loosening when I realized that I wouldn’t need a jacket that day. I knew the warmth and beauty that was to come. I fantasized and fetishized the summer season. The light touch of the sun’s rays on my bare arms was all I wanted. I wanted the sun to be my gentle lover and hold me as we walked through the blooming, dewy gardens together. As spring turned into summer, the days became heavier and longer. Intense and sweaty, I was engrossed with the passion that comes with the dog days of summer. At times the embrace of the sun became stifling and reprieve was sought in the form of indoor air conditioning and a beer. My relationship with the sun was still there, but I needed some space. This week, the first signs of fall were present. The temperatures in Chicago were as low as 61 and people on the train were prepared with their sweaters. I knew the sudden change in weather was fleeting. Those hot days would be back. Though when they do eventually come slinking back, it won’t be the same. Summer will end and I know where those hot, sultry days will go. It is almost the end of August. It is a month of change and transition. There are no holidays in August to distract us or to celebrate a historical moment. The celebration and appreciation of life in August is more internal and unspoken. Fall is coming with its muted, auburn tones; a dark-haired beauty that is inviting with tinges of a chilling independence. This love affair with summer is ending, so we make the most of it. 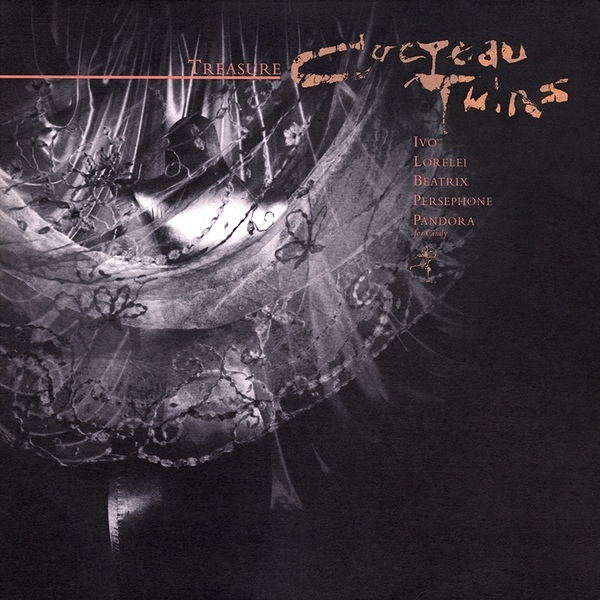 “Lorelei” by the Cocteau Twins is one of my favorite songs for this time of year. The ethereal mouth music of this Scottish band offers a wispy intimacy. It is an exciting blend of light touches and passion that throws you into the arms of ecstasy while standing on the edge of oblivion. It is the sound of dancing on a tightrope; hold tightly to each other or you will fall. There are these strong moments of living in the present but the beautiful sadness this love affair will end. The Cocteau Twins are known for their musical style. “Lorelei” on a musical level is deep with reverb echo, and muted instrumentation. The drum beats are intensely driving the music but the production keeps them in the background and softens their impact. Strewn throughout are twinkly piano chords, a deep bass, and a wavering guitar that draw a curtain across the track. They add a textural value while distancing the listener from the band. When we look at the curtain, who we see on the other end is obscured. This blurring of the musical arrangement emphasizes the ethereal tone and lilting voice of lead singer Elizabeth Fraser. When I visualize “Lorelei,” I visualize a crisp summer day as seen through a filter not unlike one on Instagram. I’m looking at the picture of a young woman with a loose sweater, wide-brimmed hat, and striking red lipstick that separates her mouth from her soft, pale skin. Green leaves on the trees with some hints of lime green and yellow poking through signifying a visual change. This song goes deep for me as it offers an escape. Like the lovers in the song, it is about enjoying the here and now; a moment that chisels a permanent spot in the mind and heart. It is a treasure to be enjoyed forever. While you may not enjoy the benefits as if it were the first time, it is something to look back on fondly during the difficult times. And it will never be the last time as long as it lives inside you. Even then, new memories with new people will come. Winter is coming, but spring will be back again someday. It is still sunny and warm out, so enjoy it while you can. Live in the moment and find solace in the finality of a singular moment, but the lasting nature of a memory. This entry was tagged 1984, cocteau twins, ethereal, fall, lorelei, mouth music, scotland, summer, treasure. Bookmark the permalink. I really love discovering the unfamiliar within what I thought I was familiar with. I’m reminded of a really brilliant nugget of philosophical wisdom from Jack Kerouac’s The Dharma Bums; when you reach the top of the mountain, keep climbing. How great is that! There is so much to take from that simple idea. For me, it represents a motivation to keep discovering and to never be satisfied with the status quo. Will the journey end? Who knows? But, look at all the great stuff we found along the way. Those things are the treasure that comes from peeling off life’s unending layers. Nick Cave is an artist with whom I’m hardly aware. I know a few of his songs. Mostly because they were in the background of a movie I was watching (“Red Right Hand” in Dumb & Dumber, “Into My Arms” in About Time). Hell. I even went to see his documentary 20,000 Days on Earth. Though I could count all the Nick Cave songs I knew on one hand, I was drawn to his mythos on the screen. During an interview, he was asked what he fears the most. Reflecting deeply and quietly for a moment, Cave confessed that his biggest fear was losing his memory because that is what makes up ourselves; our experiences, loved one, beliefs, and the other riches of a life well lived. I think that fear ties very well with the mantra to keep climbing even when we reach the top of the mountain. 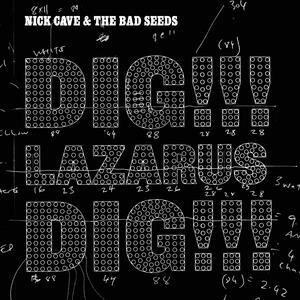 This week during one of my volunteer sessions in the media archive at a local folk music school, my archive partner put on Cave’s 2008 album Dig, Lazarus, Dig!!! From the first few beats of the album’s titular opening track, I was hooked. From little I experienced of Cave, I had already drawn a conclusion as to who he was. I packaged his entire sound into a box and labeled it. But this album changed that. This wasn’t the Nick Cave I knew. Correction. This wasn’t the Nick Cave I thought I knew. I continued to be drawn in as I continued to dig deeper layer by layer. There are a lot of great tracks on this album including “More News from Nowhere” and “We Call Upon the Author,” both which dabble between the extremes of blues train rhythms and methodical contemplation of sonic themes. But I want to focus on the opening track “Dig, Lazarus, Dig!! !” Released on the ANTI- record label (home of Tom Waits for the last two decades), Cave kicks off the record by cutting to the chase. The song features a powerful blues-driven track with meandering, nearly spoken-word vocals. The rhythm guitar is laid on thick and chugs through the song with an organ tinge following suit in the background. The band comes together with a garage-rock appeal that calls back to L.A. blues rock of the 1960s. Even the Bad Seeds have a bit of fun using their own vocals as instruments with a poppy yet brutish chorus. The chanting “dig yourself, Lazarus dig yourself” repeated throughout is bouncy with the intoxicating aroma of smoke and alcohol and is followed with a husky command from Cave to Lazarus filtered through a distorted megaphone a la Tom Waits. “I want you to dig!” sounds commanding but also like a philosophical proclamation to not stop. Keep going! When you get to the bottom, keep digging! Lyrically, there is a lot of tongue in cheek humor offered by Cave. The story of the biblical figure of Lazarus is played out like a stoned existential journey. There’s a mental disconnect between where Lazarus is and how he feels. He’s going through a seemingly out-of-body experience and everything around him in unexplainable, unreachable, and untouchable. Perhaps he is dead. Or perhaps he has lost his mental clarity and his memory. Perhaps this is the story of Cave acting out his biggest fear. Is this particular story of Lazarus really the story of Cave losing his mind? Could the something that is going on upstairs be result of something becoming nothing? The whole album is a treat that remains fairly consistent. It is incredibly rich with a stylistic theme that is maddening and fun. Cave is someone I want to explore further. I enjoyed what I had heard before this week, but this gave me something to explore even further. Though, I don’t think I would’ve put this album on if I was on my own. Life is full of little surprises. This entry was tagged anti-, bad seeds, blues, dig, lazarus, memory, nick cave, tom waits. Bookmark the permalink. Sometimes the line between reality and surreality cannot be seen. That is even assuming you have clearly defined the difference between them. You also have to consider the idea that both concepts are abstract and relative. Could one argue and prove that what is real and what is beyond reality differs greatly from person to person? Does reality, in any form, adhere to a universal standard that is clearly defined? Perhaps one can suggest that reality is a spectrum and people can exist on any point of that spectrum, or that even individuals can fluctuate from one end towards the other. How does all of this translate to music? I believe music embodies qualities that can confirm realism while also having the potential to heighten experience and transfer it to the realm of the surreal. And that can be accomplished in many different ways; production aesthetics that convey a lazy river of dreams, an abstract sequence of words that make lyrics seem like poetry on a higher plane, or reimagining a firm tradition to the point of unfamiliarity. With the case of “Come Down Easy” by Spacemen 3, it certainly is a cosmic blend of all, um, three. Concerning its aural aesthetics, “Come Down Easy” is a dreamy, psychedelic trip down from a tumultuous, chaotic high. It is the drifting downward from the stratosphere of cosmic realities, a realm of properties that differ greatly from the grounded principles and laws of nature of Earth. Spacemen 3 borrows from the traditions of acid rock and skews its identity with their own blend of alternative malaise. While their acid rock forefathers praised the era of free love, Spacemen 3 represent the potential of what reality can become. There is always another side of the coin and with every peace sign, there are nightmares and coming down easy becomes an existential journey of survival. The music is a drug-induced reimaging of “In My Time of Dying,” a gospel staple. 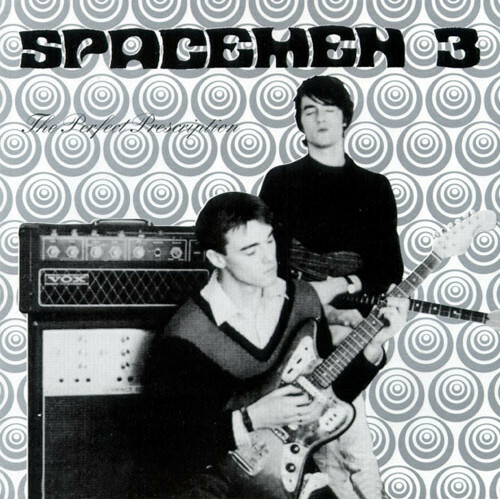 Within the framework of a song rich in formality and tradition, Spacemen 3 expose the central theme to make the idea of coming down from a high a religious experience. In the backing track, the band stays true to form by making the song’s guitar rhythm the signature piece of the song. It strums along with some grasp of its origin; a seemingly recognizable face among a crowd of blurred, obscured faces. Are we in the middle of a gospel sermon or on display naked and exposed to an unidentifiable audience? The musical arrangement is accentuated with another guitar drifting through the background, tambourines, a steady drum beat, and a descending bass line that is walking you down from this high. While the music is rich with its reimagining of tradition, the song marks its own paths with the lyrics drenched in the sweat of deep spirituality. Jason Pierce’s vocals convey a distant remembrance of his journey to his spiritual center. He is on his way to the Holy Land aided by his shepherd and the intravenous, snorted, and smoked disciples. His path to internal peace and enlightenment shines through as an authentic spiritual and religious experience. He has seen the light and knows the way to righteousness. He yearns for a flock to follow him and experience a centered, universal oneness that only comes with a congregation deeply rooted in unquestionable faith. Through the sunlit holy mountain and through the dark, shadowy valley of death, you are protected. You will come down easy. Spacemen 3 is a remarkable, trippy alternative band that both understands and reinvents tradition. With a sound that recalls King Crimson and the 13th Floor Elevators, they still create their own unique blend of psychedelic and post-punk alternative rock. “Come Down Easy” is a real treat on several different levels. What better ways to express the distortion of reality through drug abuse than dissecting and rebuilding a form of music that takes pride in their adherence to tradition and formality. “Come Down Easy” perfectly exemplifies just how small the distinction between reality and surreality actually is. This entry was tagged acid rock, come down easy, drugs, gospel music, in my time of dying, perfect prescription, psychedelic, spacemen 3. Bookmark the permalink.